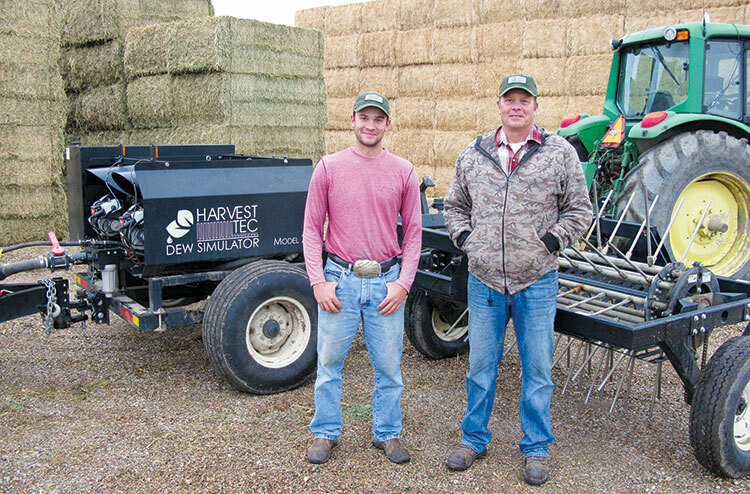 Lytle’s hay operation is a family affair. From left: Zeb, Clancy, Kale, Rusty, and Angela. The author is a freelance writer based in Atchison, Kan.
Forty-two miles east of Rapid City, in Pennington County South Dakota, the Lytle family is making their mark on the hay industry. They are harvesting their 1,000 acres of dryland and irrigated alfalfa to produce Supreme dairy-quality alfalfa for a single customer. This article appeared in the January 2019 issue of Grower on pages 16 and 17.